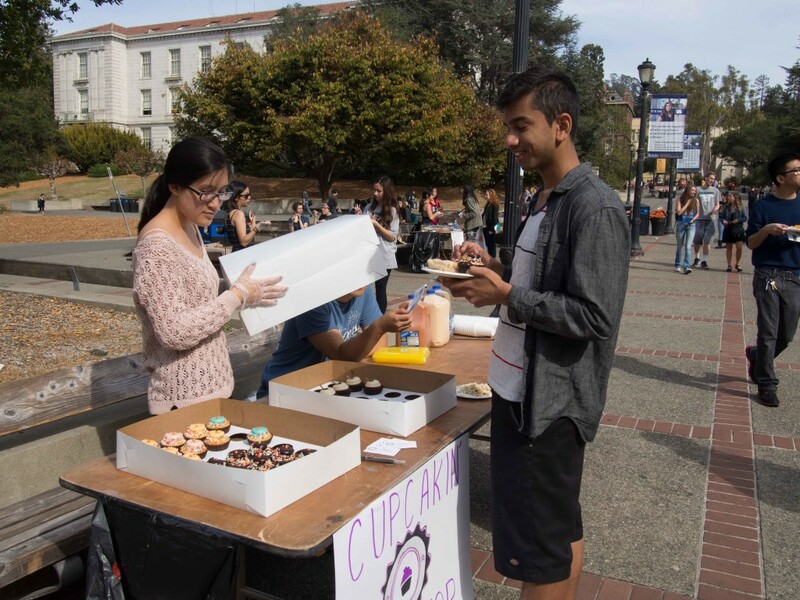 On Saturday, October 24, 2015 from 1 pm-4 pm, students, businesses and community members joined on Dwinelle Plaza on UC Berkeley campus to celebrate Spoon University at Berkeley‘s second food festival, Spoonfest. 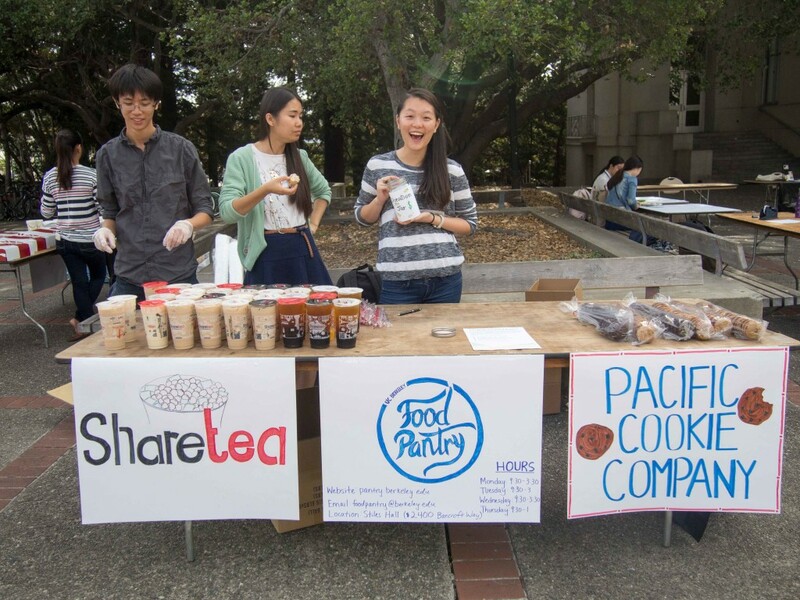 This event was initiated by Spoon University at Berkeley‘s founding leadership team as a fundraiser to support the UC Berkeley Food Pantry. 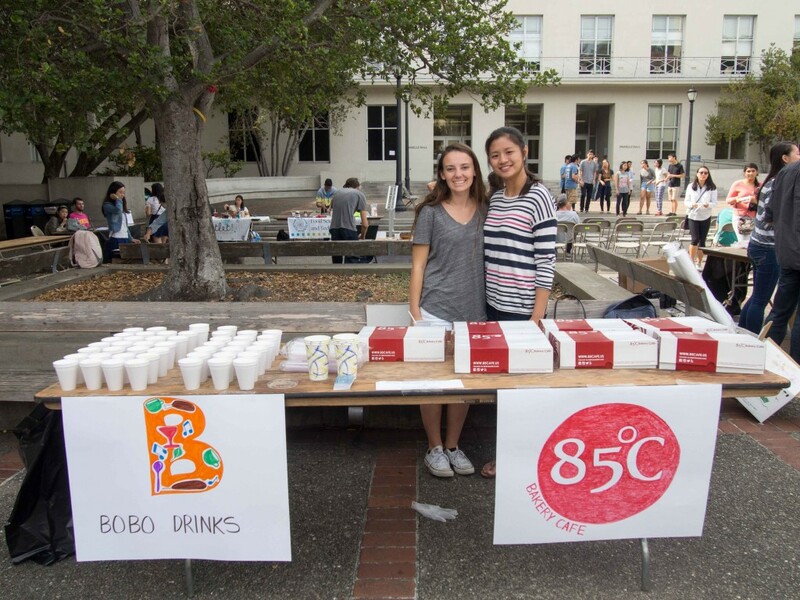 After last year’s success, our team decided to continue the tradition: half the profits from this year’s event will also be donated to the Food Pantry. Spoonfest called on the collective effort of Spoon University at Berkeley’s entire team, but despite the long hours of resisting the temptation of food beneath our noses, we enjoyed this inclusive, engaging experience as much as all of our attendees. 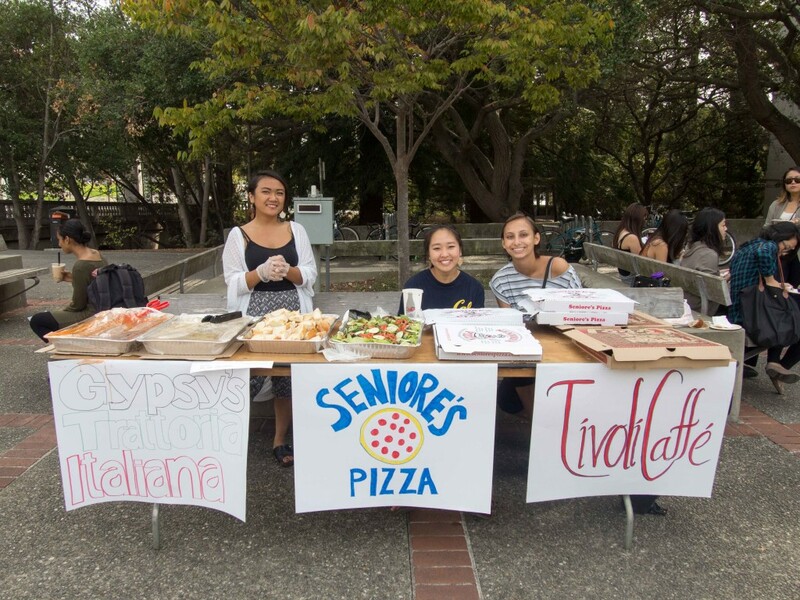 Spoonfest was accompanied by the wonderful musical talent of five student music groups: Celli at Berkeley, For Christ’s Sake Acapella, Berkeley Chinese A Capella, Noteworthy, and Decadence. 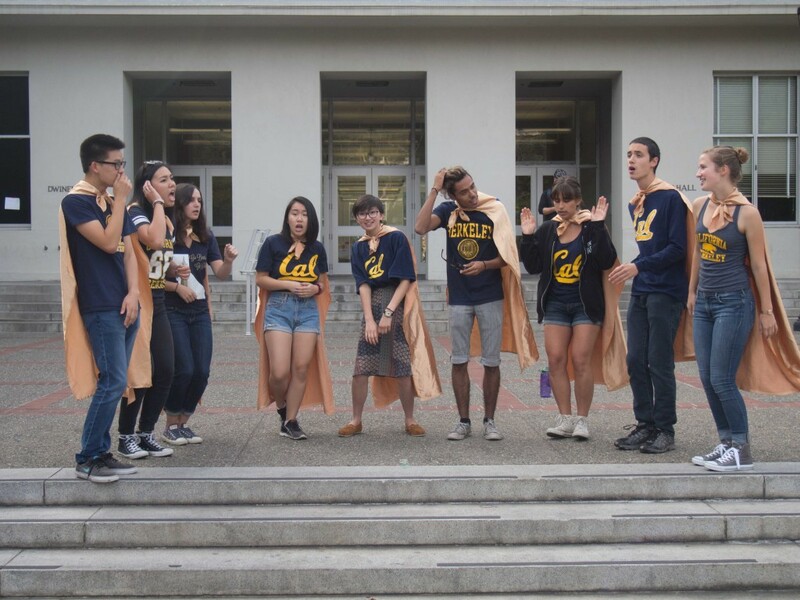 Celli helped set the tone of the event with their upbeat renditions of some of our favorite pop songs, and each of the following acapella groups maintained this energy for the next three hours. Alongside them were Outlet at Cal and Ink at Berkeley, both of whom painted as they ate. 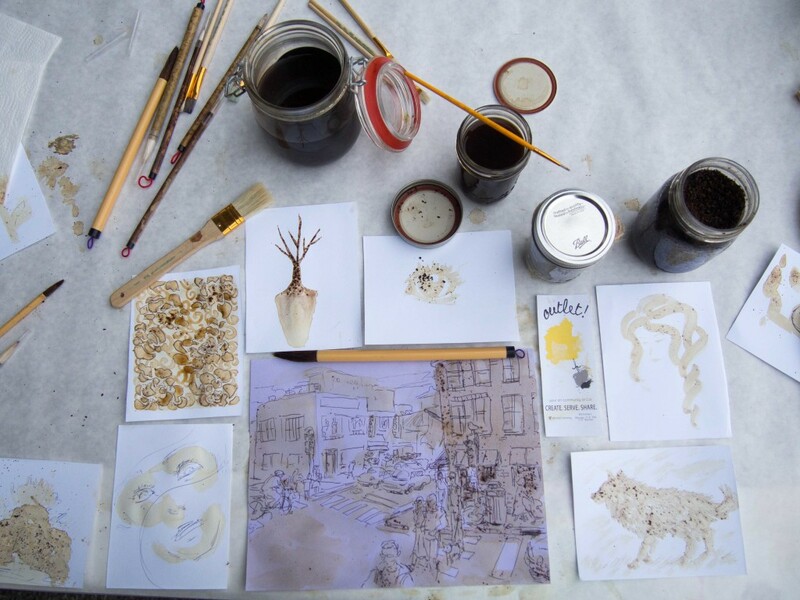 Outlet truly took the spirit of the day in hand by creating coffee paintings. 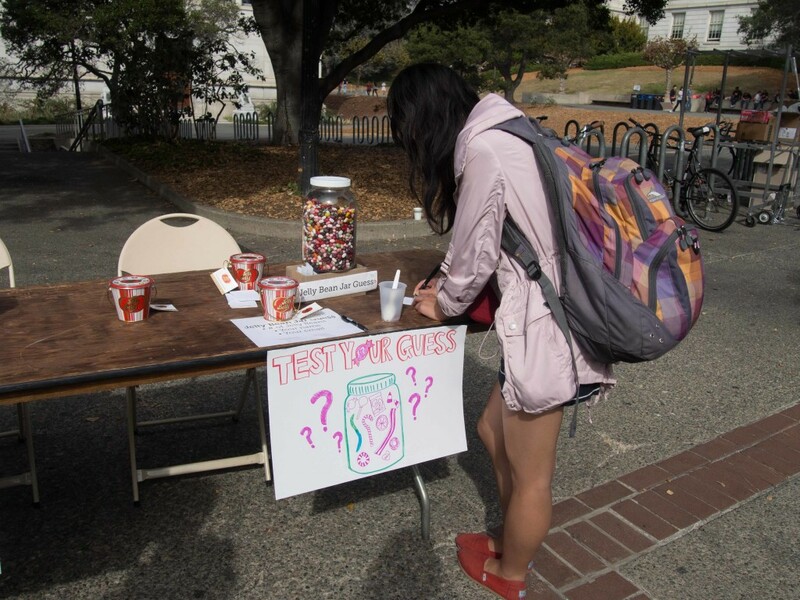 Throughout the event, Spoon team members invited attendees to participate in one of six food-themed games ranging from the simple jelly bean guess to the complex new game flip cup, and from the traditional egg race to the innovative marshmallow pong. Safe food challenges like the saltine cracker challenge and the Oreo face challenge were also available. And of course, there was the food. 21 of Berkeley’s local food businesses stepped up to the plate by donating generous servings of their noteworthy food products. Our attendees could choose from a huge variety of cuisines including (but not only) Chinese, Indian, Italian, American and Mexican. And that doesn’t even include the bounty of desserts that we also had on hand: boba, cookies, pastries and cupcakes.